Wolverine is the best he is at what he does, and his enemies aren't bad at it, either! This all-new assortment of Marvel Minimates is based on the rich comic book history of Logan, a.k.a. 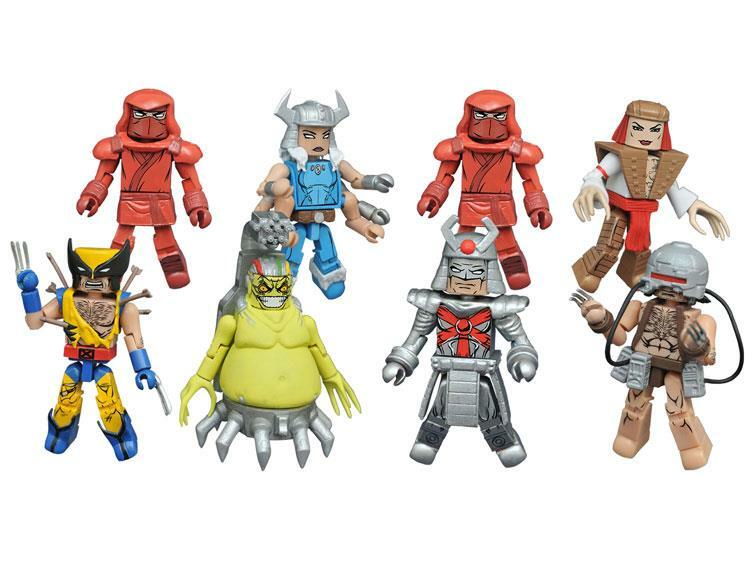 Wolverine, and features four different two-packs: Weapon X Wolverine vs. Lady Deathstrike, the first-ever Minimates of Mojo and Spiral, Ninja Attack Wolverine vs. a Hand Ninja, and the Silver Samurai vs. a Hand Ninja! Each 2-inch mini-figure features up to 14 points of articulation and fully interchangeable parts, including removable helmets, armor and weapons! "I always love it when comic-based Minimate waves draw from further back in Marvel history. This series doesn't go as far back as the silver age, but these are the characters from the comics that I grew up reading. I think it's awesome that we are getting 5 villains in this wave, and I love it when Wolverine variants make sense and stand out from the crowd." 2800 Lukers will be rewarded to you when you buy this item.